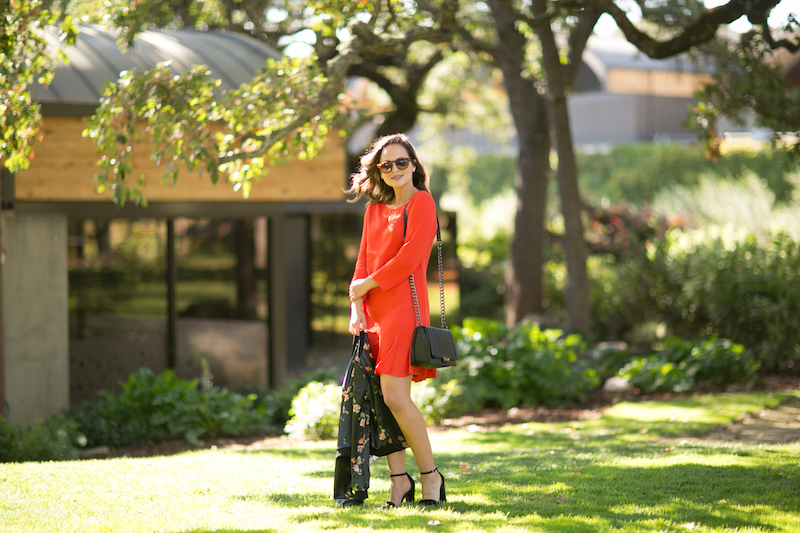 Today I'm sharing a head-to-toe JustFab look from my Napa trip with GirlTalk Network. If you haven't check out that post yet, you can read all about it here. JustFab has an amazing collection of shoes, accessories and clothing that are perfect for all body types. 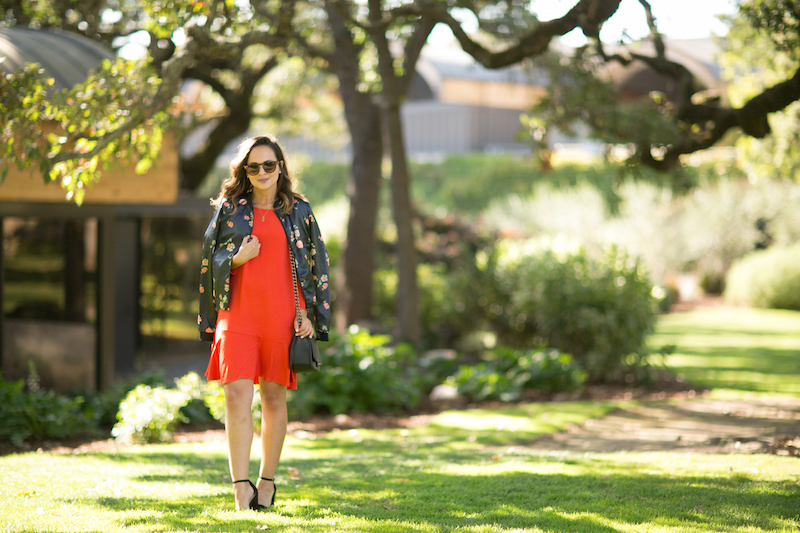 For this look at the Chandon Winery, I went for a dressier look pairing this a-line dress with a floral bomber and heels. Ariana wore her floral bomber with JustFab jeans and boots showing how perfect the jacket can be dressed up or down. Which one would you rock? 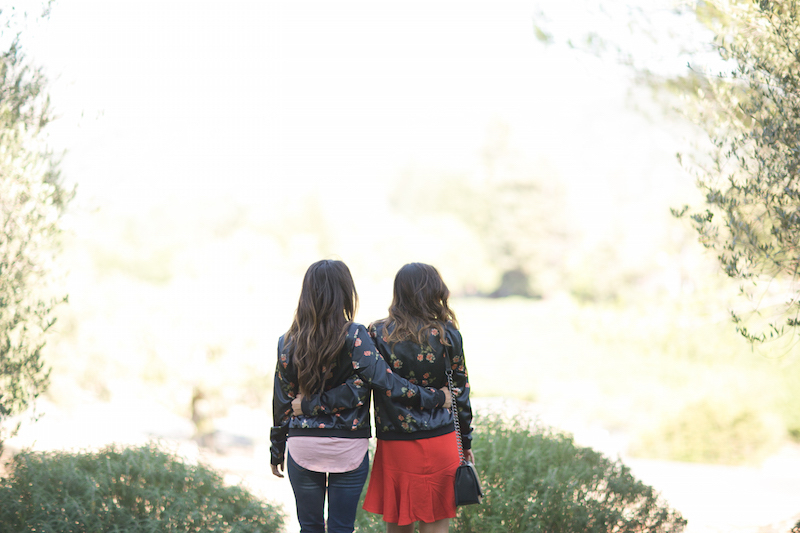 Thank you to JustFab for dressing us head-to-toe during this fabulous girls trip. Check out their site for all your fall wardrobe needs. I saw a few cute booties and jackets I'm eyeing myself! Such an amazing dress!!! Style is something that embrace your beauty by giving you a glamorous look. And to flaunt such look, I have collected some really nice casual dresses for women. They are perfect to get a trendy look and be stylish all the time.